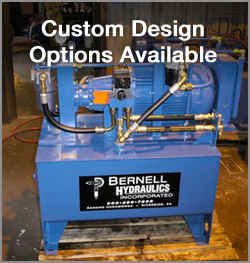 At Bernell Hydraulics, we are proud to be your best Inland Empire source for Parker hydraulic pumps in Pomona CA. We have thousands of parts in our stores, and if we don’t have the exact Parker pump or accessory you need, we can quickly order it for you directly from Parker. Our expert staff is happy to answer any questions you may have about Parker pumps as well as provide on-site installation of your new pump if needed. When you shop for your hydraulic pumps at Bernell, you can enjoy a broad selection of trustworthy parts from an official ParkerStore partner. Our staff has the expertise and knowledge regarding the Parker product line that you need in order to make an informed decision about your purchase of Parker hydraulic pumps in Pomona CA.